• Article clips: Click the extension when viewing a blog or news site, and it will automatically save the whole article. 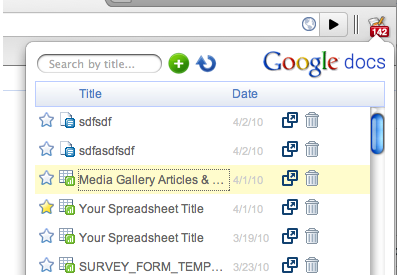 • Selection clips: Hightlight the text, links and images that you want to save, then click the extension. • Full page clips: Grab the entire page with a single click. • Clip URL: Choose the Clip URL option to grab just the website link. 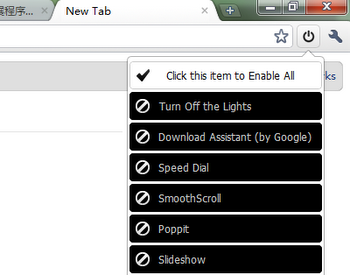 Disable all extensions in one click, or enable all extensions in one click. you also can enable or disable or uninstall the extensions one by one. 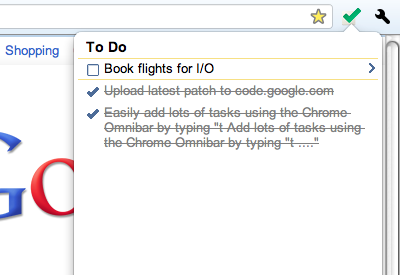 Simply type “t Your new task” into the Chrome Omnibar to easily add a task from whatever web page you’re on. 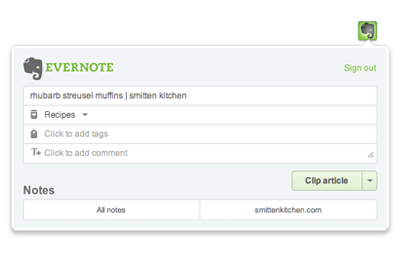 Highlight text on any web page, right click and add that text to a new task. • Translated to over 60 languages! • More than 10 different icon sets, choose your favorite! 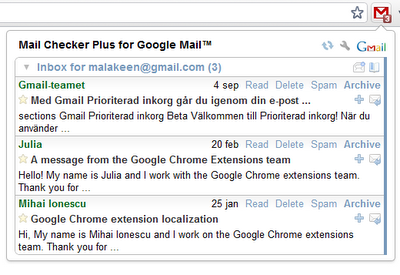 – Display your list of documents in a browser action popup. 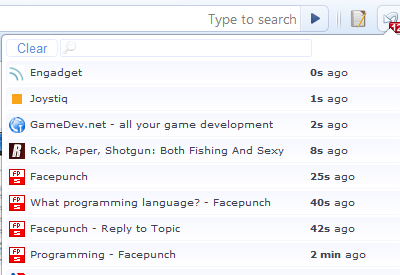 – Instant search and sort over your list. – Star documents on the fly. – Create new documents, presentations, and spreadsheets. – Configurable auto-refresh to display your total number of documents. 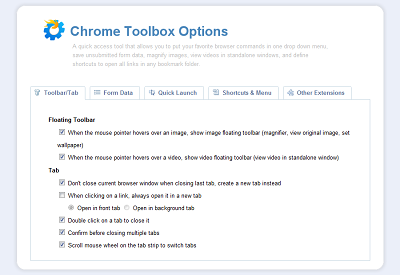 – Learn, compare and contrast shortcuts in Chrome and other popular browsers. You sit down at the computer, and you swear you’ll be productive. Next thing you know, it’s twelve hours later. You’ve checked your email, updated your Facebook status, browsed the trending topics on Twitter, read your RSS feeds, looked up your favorite band on Wikipedia, vanity googled yourself, cyber-stalked your ex, looked at all your high-school crushes’ Facebook photos, watered your plants on Farmville, and lost a week’s pay playing online poker. What you haven’t done is WORK. It is highly configurable, allowing you to block or allow entire sites, specific subdomains, specific paths, specific pages, even specific in-page content (videos, games, images, forms, etc). AutoPager is a Chrome extension which automatically loads the next page of a site inline when you reach the end of the current page for infinite scrolling of content. By default AutoPager works with a ton of sites, including Lifehacker, the New York Times, Digg, eBay, Amazon, Yahoo, YouTube, flickr, live, msn, myspace, wikipedia, ebay,taobao,Twitter and, of course, Google. A modification of the Undo Close tab plugin, much sexier ! 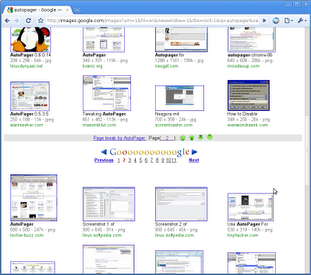 This thing acts like a mini-history manager, enable Save closed tabs feature and it’ll save up those closed tabs ! Want to get back that tab you opened last month? No problem ! It’ll still be there ! 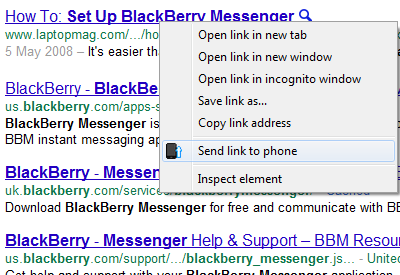 Site to Phone lets you send links, text, images and more to your smart phone.